Firstmonie is a platform established by FirstBank Nigerian PLC designed to make transactions easier for everyone, it doesn't matter if you have FirstBank account or not. However, using Firstmonie platform helps you Save money and time while earning some good money as an agent. This platform started in 2012 but has recently gained the attention of many due to its outstanding benefits. One special thing about Firstmonie is that everyone is eligible to enjoy the services, whether you are FirstBank customer or not and in fact, even if you have never opened an account in any bank you are still free to use this platform. The question is how? I will tell you just keep reading for more details. You don't need to risk your money by keeping it at home, you can visit Firstmonie agent in your street near your house and deposit your money to your bank account. Don't forget you can still deposit money even on weekends, Friday, Saturday, and Sunday depending on the agent that operates in your location. There are lots of ways to send/transfer money to any bank in Nigeria through mobile banking/Apps, Shortcodes and through ATM but what if you are not familiar with those methods then you need someone to help you. Visit nearest Firstmonie agent and everything will be over in a minute. Moreover, it doesn't matter the bank you want to send money to be it Ecobank, Firstbank, Gtbank, Diamond or UBA. Am sure you will be surprised to hear that you can withdraw money from any bank through this platform but you don't need it because it's 100% possible. You can withdraw your money with ease from any bank in Nigeria anytime, any day with the help of FirstBank Firstmonie. There are other things you can do through this platform which includes. I don't know the bank you are using but you can surely check your account balance using your mobile phone, internet banking, and ATM machines but if you can't or don't know how then Firstmonie agent can help you. Do you have any question to ask and don't have the time to visit the bank, feel free to ask any Firstmonie agent in your location and you will likely find the answer that you seek. 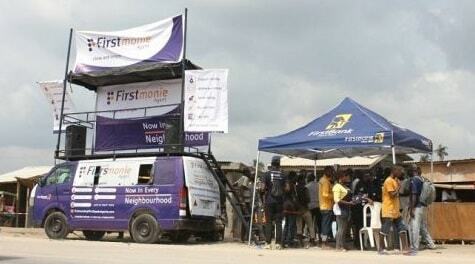 How about making serious cash as FirstBank Firstmonie agent? Oh yes, you can but we have to start with the requirements to become an agent. You don't need to become a graduate or to own a company to become Firstmonie agent. below are the requirements as stated by FirstBank. In case you are confused about this platform, there are some available questions and answers about this platform that explain some important fact you need to know and as well help you understand how it works. Everyone – whether you are a FirstBank customer or a customer of another Bank, we’ve got you covered! 2. What will I get as evidence for transactions processed at the Agent's location? * An SMS alert from your Bank for your transactions. FirstBank is committed to empowering individuals without bank accounts and bridging the gap between high-tech service and low-literacy clients. Wish to contact Firstbank regarding Firstmonie?